What are the best food photos? The ones that start your stomach growling and your mouth salivating. The ones that make you want to lick your computer screen. The ones that have you running for the kitchen, fingers crossed that you have everything on hand to make whatever was in that photo. You don’t have to be a professional photographer to take a mouthwatering photograph (I’m not! ), but it does take a little practice. I’ve made a list of the 10 food photography tips that really helped me improve my food photography the most. Tasty Food Photography – This eBook, by Lindsey Ostrom from Pinch of Yum offers relevant, easy to understand and useful food photography tips. This book is great for new photographers as it starts with the very basics and will give you a solid foundation to help you grow. From Plate to Pixel – This book, by Helene Dujardin from Tartelette, has become a food photography bible. 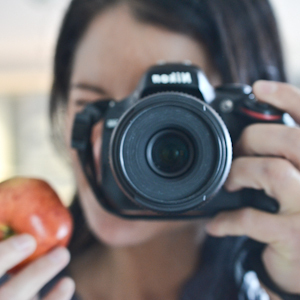 Helene is a master at food styling and teaches you all her food photography tips in her book. 1. Find a photo online that you absolutely love and try to re-create it. Cook the meal, set the stage and go to work. Paying close attention to the details in other's photography will also help your own. Pay attention to the food styling, the lighting, the angle the photo was taken at and the depth of field. It's much harder than you think! Check out the bottom of the page for a few examples of my attempts. 2. Buy (or borrow, or rent, or salvage) a copy of the book From Plate to Pixel by Helene Dujardin, and study it. 3. Take photos from different angles, and take a lot of them. Move around the food, take pictures from up above and down below, up close and further away. Change the set up. Play with your camera’s settings. You can always delete the photos that don’t turn out, so take lots. 5. Never use the flash on your camera! This is true for almost all situations, but especially true for food. I use my Lowel Ego Pro tabletop light 100% of the time. The lighting is consistent, the colour is neutral and it's very easy to control the direction and strength of the light. If you're not quite ready to make the plunge, make sure you shoot during the day near a large window. If you get a lot of direct sunlight you will want to cover the window with a white sheet to diffuse the light so it is not so harsh. 6. Get a few props that you like to work with. My favorites are my vinyl background boards from Ink and Elm, a few tiny white bows and spoons, crumpled up parchment paper and paper towels. 7. Always be on the lookout for new (at least to you) props. Some of the more interesting props that I have found are a newspaper, old postcards, and interestingly shaped dishes. 8. Photograph food that is easy to work with. Think bright colours and lots of texture. The most difficult foods to photograph (I think) are those with muted colours or are very white. Starting with an easy subject will help to build your confidence and make you want to take more photos. 9. 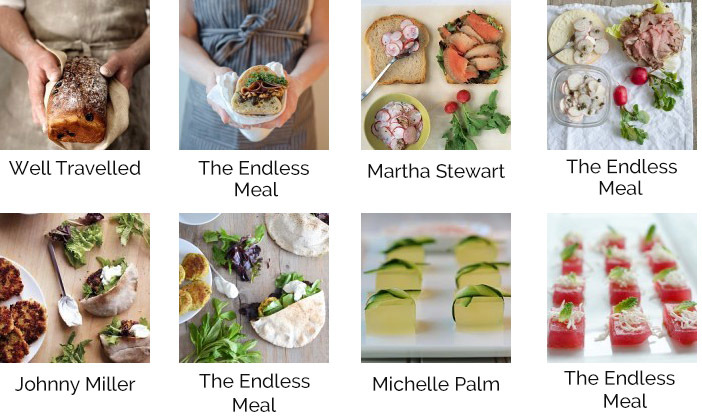 Treat yourself to a copy of Pinch of Yum’s e-book Tasty Food Photography. I bought it for myself and learned a lot of useful tips and tricks. 10. Have fun with your photography! Becoming a better photographer should be a fun journey. Keep practicing and remember to enjoy the process.